DIVA-for-Rhino is a highly optimized daylighting and energy modeling plug-in for the Rhino/Grasshopper CAD environment. Use DIVA-for-Rhino for environmental performance evaluations of individual buildings and urban landscapes, including radiation maps, photorealistic renderings, climate-based daylighting metrics, annual and individual time step glare analysis, LEED and CHPS daylighting compliance, and single thermal zone energy and load calculations. 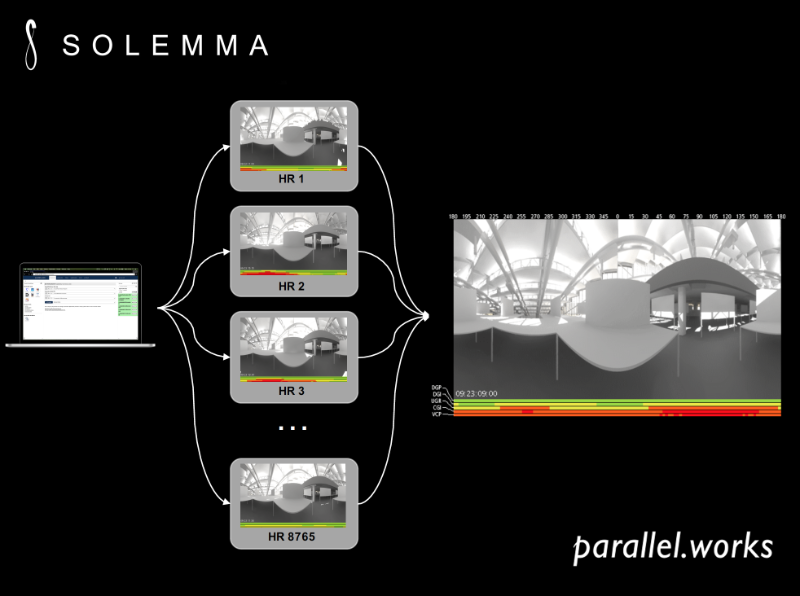 This webinar presentation will preview the new beta components, explore real-world use cases, and investigate how simulations can run at large-scale directly via Grasshopper on the Parallel Works cloud. By delivering up to 1000x simulation iterations in the same time it takes to run just one the desktop bottlenecks are removed. Jon is an architectural designer based in New York and Chief Creative Officer at Solemma LLC. He specializes in shading optimization, thermal modeling, and computational design. Neil is an architect and Associate at Skidmore, Owings and Merrill. He uses a computational design approach to design, developing geometry, analyzing, designing in response to project goals, including environmental and sustainability. Matt is founder and president of Parallel Works, Inc., an award-winning web user interface expert working at the intersection of parallel computation, design, and the built environment.